Did you know that we have a little Irani café at Girgaum whose name was inspired by the famous 1862 opened Café De La Paix (pronounced – pay) located at Place de l'Opéra in Paris and designed by architect Charles Garnier? 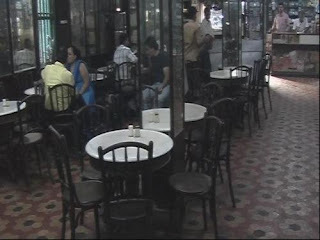 The story goes that when the owner, Mr. Irani, opened this Girgaum café in 1932, the landlord of his building had just been to Paris and had been greatly impressed by the Café De La Paix there. 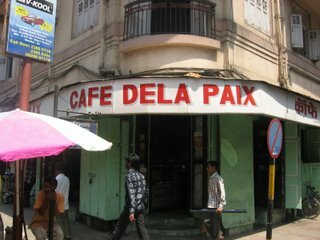 So he requested him to give this name to the Irani café he was opening. 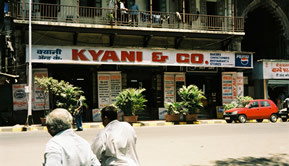 It is located at the corner of Avantikabai Gokhale Road, which has the bustling auto spare parts market. And don’t worry; our Café De La Paix will serve you bun maska and chai at much more affordable rates than its Paris namesake. My B. MERWAN diary. .
My feet slowed down. My eyes went around. And everything for the next one hour happened in slow motion. 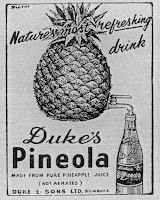 It was as if I had walked through the doors of a time-machine. Straight into 1914. It was a godforsaken overcast day in 2002. That was my second year in Bombay. Before that I had been writing for Gentleman magazine of the Indian Express newspaper. Through Gentleman I had known another writer/contributor and aspiring screenwriter, Rohit Gupta. 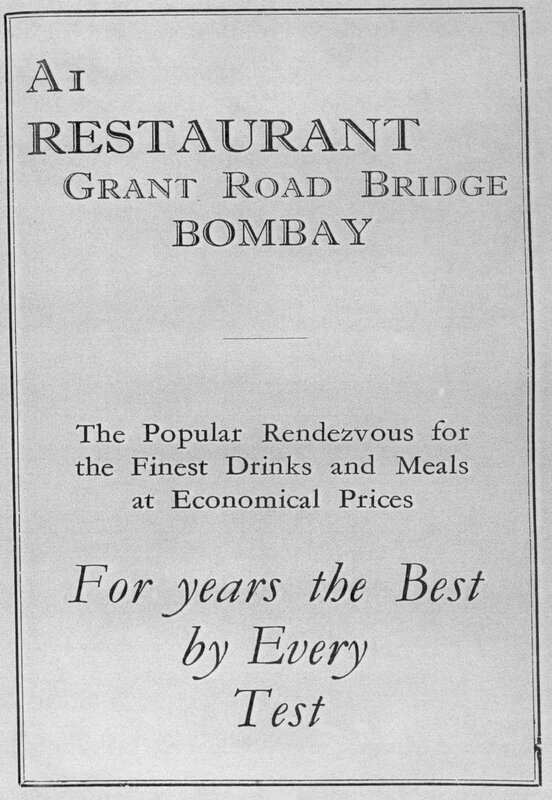 Rohit used to live in Grant Road in a rat infested rickety building in those days. And used to spend whole day at a place nearby that was his hangout joint and muse too. The place was B. Merwan. He said the name while we were walking to B. Merwan. The name gave me an impression that we were going to a persons house. A few minutes later we entered B. Merwan. My feet slowed down. My eyes went around. And everything for the next one hour happened in slow motion. It was as if I had walked through the doors of a time-machine. 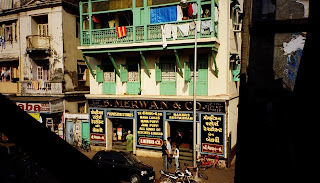 Straight into 1914 - the year B. Merwan was established. The feel. The ambience. I felt a sense of deja-vu. As if I was searching for a place like this all my life. As time went by I visited B. Merwan more and more, but alone. It was like falling in love with Rohit's beloved. So I had an affair with B. Merwan behind Rohit'a back. And B. Merwan loved me back with all that it had to offer. I sat there for hours - writing, thinking or just soaking in the place with my eyes. For a long while it didn’t occur to me that there might be other Irani cafes around. There indeed were. In the years to come I ended up visiting a lot of them – Kyani, the late Café Johnson, Britannia, Regal Stores, Sassanian, Military, Oval, Leopold, Stadium, Lord Irwin, Brabourne, Mondegar, Universal. But B. Merwan remained my first love. 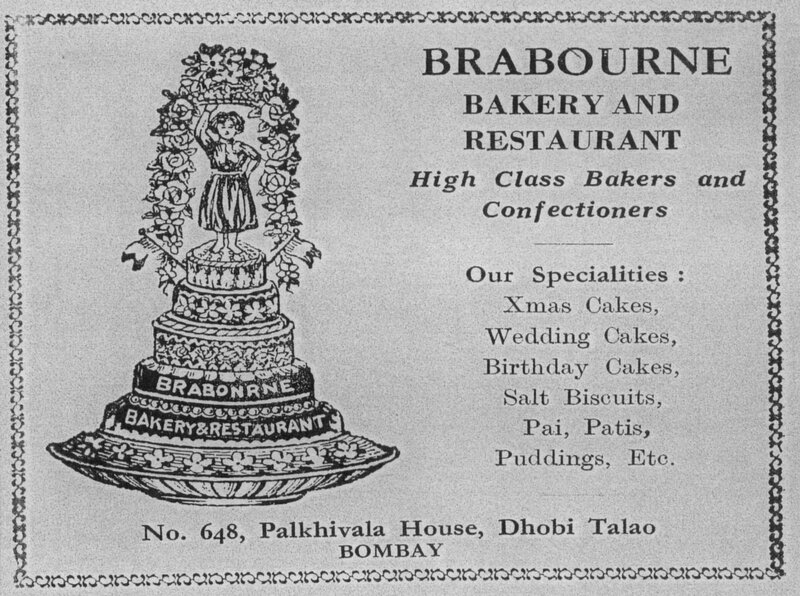 Brabourne and Oval became close seconds. "I came here is 1984 from Iran. 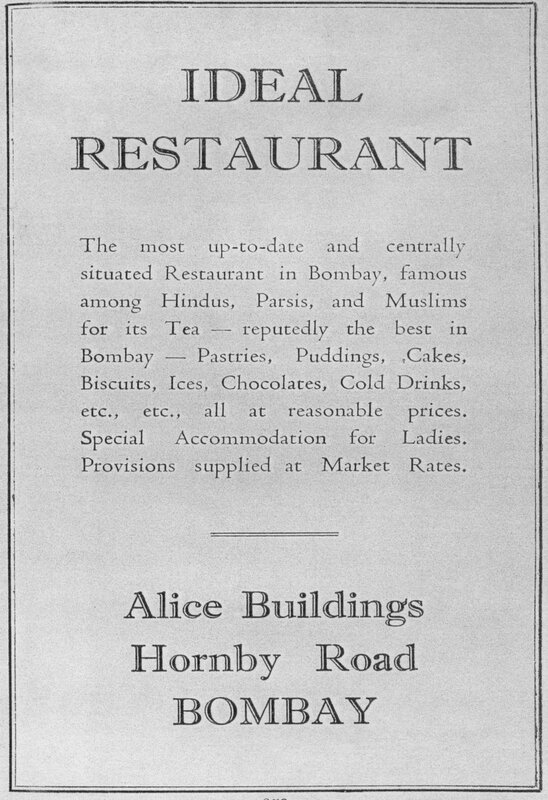 My grandfather and my father had opened this cafe in 1914. Till 1984 I was working in Iran - most of my youth days. I was there during Shah's time, then Khomeini's time. When the war broke out the family here got worried and called me back. Since then I am running this cafe with my elder cousin Bomi Irani. We are the third generation running this cafe and fighting hard to keep the same old tradition going. 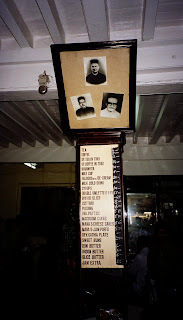 The menu at the cafe has been same for 91 years while most of the other Irani cafes have given way to Chinese food or fast food etc. 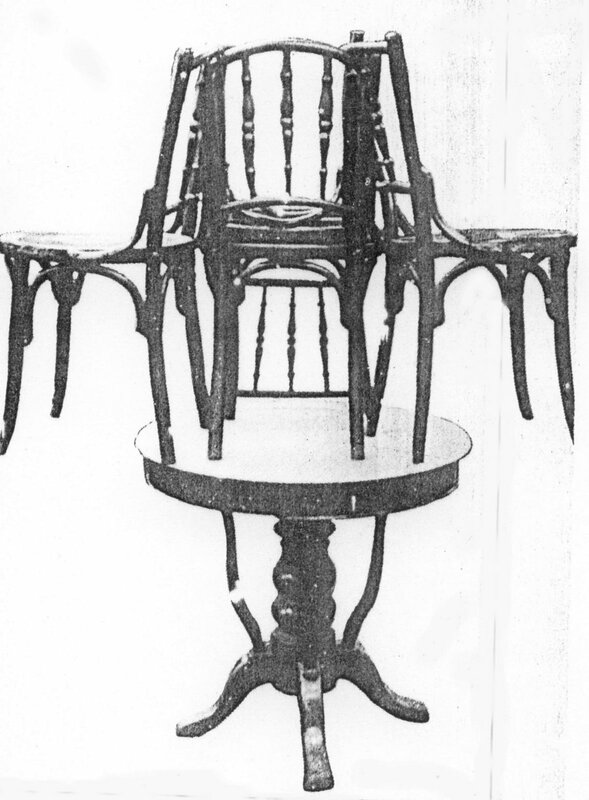 The chairs in this cafe are from Czechoslovakia and the marble top tables are from Italy. 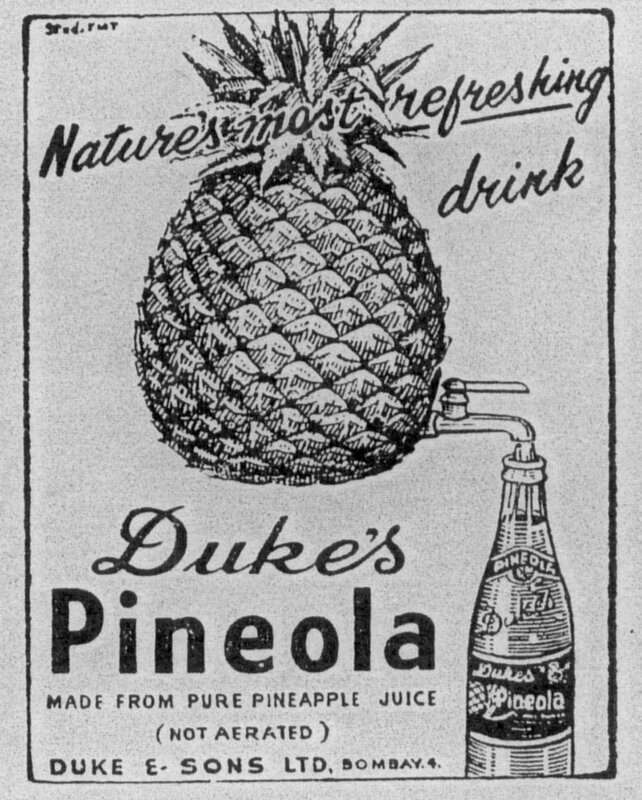 You don't get these at stores anymore. We are trying very hard but we are growing old. We don't have a fourth generation to run this cafe. Both of us have daughters and it's not that we have anything against women running the place. It's just that after their marriage they have lives of their own." In the old days Irani bakers used to slice the loaf by hand - now that’s an art! ; to cut parallel slices in a uniform size. Is there anything as delicious as a fresh, hard crusted gutlipao, perhaps, soaked in the gravy of a spicy curry? 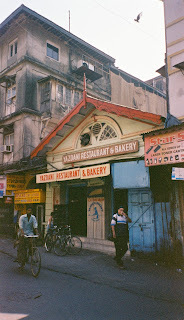 Gutlis, pao and a variety of other breads are made in large batches daily by the many bakeries scattered around Mumbai. These oven baked European breads made their appearance in Indian cuisine about three centuries ago. The very word pao, in fact, comes to us from the Portuguese, though there is a mistaken belief that the word derives from the feet (pao) that knead the dough! To learn more, we sniffed the delectable aroma of fresh-baked bread that permeates Flora Fountain area and followed our noses till we reached Yazdani Bakery on Cowasji Patel Marg. We spent an enjoyable hour with the incredibly jovial Zend Merwan Zend, chatting about the history and traditions of bread in the city. Hormusji Dhunjishaw Darukhanawala, Parsi Lustre on Indian Soil, published by Claridge, Bombay, 1939.